Premiering on VOD 7/11, The Answer tells of an introverted young man that - after an attack- must follow clues left by his dead parents in order to figure out who is after him - and who he really is. Austin Hébert, Alexis Carra, and David S. Lee star. Iqbal Ahmed joined us to talk about the film. Is there any interesting story about how you got involved in The Answer? For years, I’d been attached to a number of feature scripts. And everyone always told me that I was a great candidate to be the director. But no one had the guts to trust a first-time feature film director. So I knew I had to make the movie myself. So I independently raised the money to make the film. As hard as that was that was only the start! Then I took a tally of all the resources I had– locations, crew, community support. And I decided to make the feature film in my hometown, Danville, Virginia. It was such a blast making a film in my hometown and revisiting locations that were part of my childhood. And I think the realness of actual locations really came through on screen. And it was a kick for all my family and friends to be there. What interested you in telling this particular story? What kind of research did you do before scripting, if any? I watched every sci-fi action movie I could get my hands on! I watched all my favorites. And I also watched a lot of terrible movies. And the whole time I was learning lessons. Besides having a solid story, every successful action movie needs to care about character. It’s not just enough to have action sequences. If you can construct those sequences around a character the audience cares about, then you have a shot at making a successful film. I realized that the only way to make this movie stand out, was to build it around relatable character. I wanted to the audience to care about Bridd and follow him to the end of the world. Were you a fan of these sci-fi conspiracy flicks growing up? Absolutely. I’ve always loved the films of Alfred Hitchcock. I’ve always loved the Twilight Zone and the X-Files. I love exploiting the feeling that no one really knows who -- or what -- is out there. How many actors did you see for the lead roles? I saw dozens of actors but the moment I saw Austin I knew I had my lead. He had tremendous heart. In him I saw an everyman capable of taking us on this journey. Someone we could love and relate to. How was Alexis to work with? Alexis was a treat! She was so willing to explore her character. She always brought life to the character of Charlotte. She was so upbeat and willing to go wherever the character needed to go. Is there a sequel in the future? Who knows? There’s definitely the potential for it. It all depends on whether the wonderful audience members of the world love the movie enough! 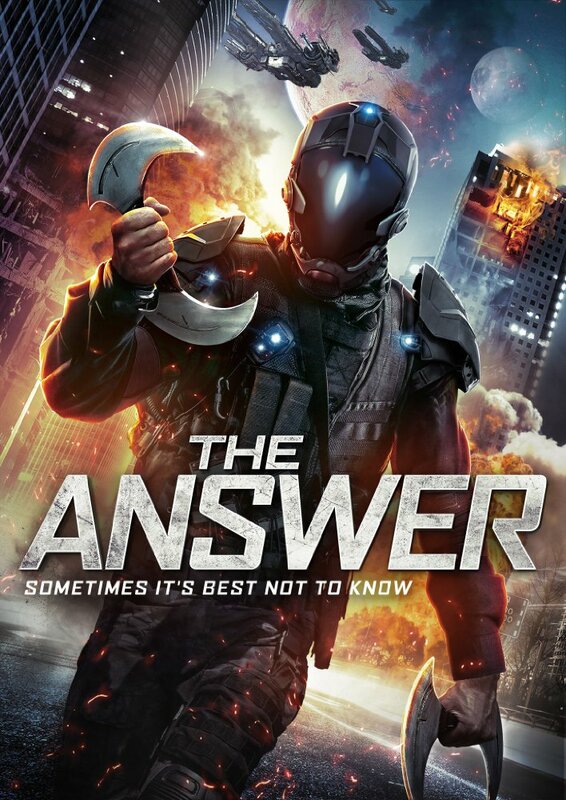 You can Rent/Buy The Answer from Amazon UK using the link below.